Today, U.S. Senator Tim Kaine, co-chair of the Senate Career and Technical Education (CTE) Caucus, introduced the Jumpstart Our Businesses By Supporting Students (JOBS) Act, legislation that would amend the Higher Education Act by expanding Pell Grant eligibility to students enrolled in short-term job training programs. Under current law, Pell Grants – needs-based grants for low-income and working students— can only be applied toward programs that are over 600 clock hours or at least 15 weeks in length, even though many job training programs are shorter term. The JOBS Act would expand Pell Grant eligibility to students enrolled in high-quality job training programs that are at least 8 weeks in length and lead to industry-recognized credentials and certificates. According to the U.S. Chamber of Commerce, 3.7 million U.S. jobs are currently vacant because of a shortage of qualified workers. The JOBS Act would address this shortage by helping workers afford the skills training and credentials that are in high-demand in today’s job market. “More than ever before, U.S workers need access to high quality postsecondary training that gives them the skills and credentials to succeed in the today’s labor market. Unfortunately, our federal financial aid programs – especially Pell Grants – have not kept up with rapidly-changing demands of the 21st century economy. The bipartisan Jumpstarting our Businesses by Supporting Students (JOBS) Act is a critical step towards eliminating outdated barriers to Pell, while also making sure that short-term postsecondary programs are aligned with needs of local and regional industries. 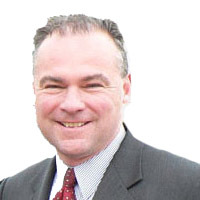 We applaud Senator Kaine for his leadership on this issue, and we look forward to working with Congress to advance this proposal,” said Kermit Kaleba, Federal Policy Director at the National Skills Coalition.